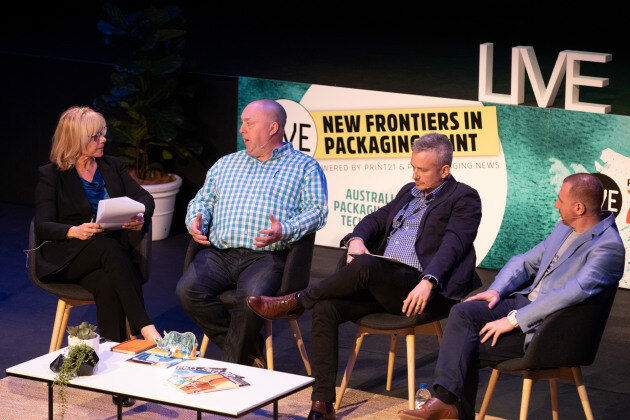 Following the theme of New Frontiers in Packaging Print, the industry forum, presented by magazines Print21 and PKN, took place at Sydney’s Monkey Baa Theatre on Friday 3 August, with 168 people in attendance. Lindy Hughson, publisher of Print21 and PKN, was delighted with the success of this first-ever co-branded LIVE event for Print21 and PKN. “The speaker content was of a very high standard, relevant and engaging, and the positive vibe among delegates on the day was tangible during the networking sessions,” she said. Among the guests was Wellman Packaging CEO Craig Wellman, this year’s winner of the Australian Packaging Professional of the Year award, who said he enjoyed seeing the industry come together in the one place to learn. “Print 21+PKN Live brings together smart people with good knowledge and great ideas to foster collaboration and advancement of our craft,” he said. Australian Institute of Packaging (AIP) executive director Nerida Kelton (pictured right with Craig Wellman) said the LIVE forum reinforced the importance and value of the packaging and printing industries working together for a common goal of designing innovative solutions. Long-time PKN LIVE sponsor Currie Group was the headline sponsor of this year’s event along with HP. Currie Group director of labels and packaging Mark Daws (pictured second from right above) said he was delighted to have the opportunity be part of this first-off event for the packaging print community. “The positive vibe was palpable, and the speakers delivered engaging, interesting content that was well received by all those I have spoken to,” he said. World Packaging Organisation (WPO) president Pierre Pienaar also found the day rewarding and stimulating. 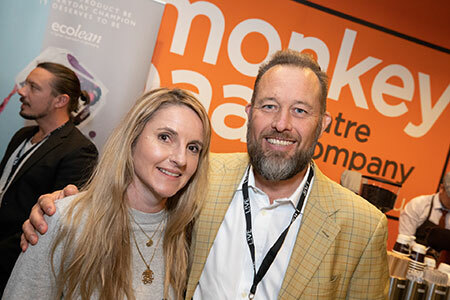 “There was a great line-up of speakers who delivered their content well, and, as with PKN’s previous LIVE events, the networking was fantastic,” he said. Ball & Doggett marketing executive Nina Patz also enjoyed learning from the day. “We had a great time at the event, and particularly enjoyed the speakers from the morning session. They amazed us all,” she said.